Eugenie and I received a wonderful Christmas gift yesterday when Dr. Dean Graulich called to say that Tanner’s tumor was a low-grade malignancy that shouldn’t pose any future problems. Our brave boy has a gang of stitches on his chest but the bandages are gone and he’s down to just an 80s-style midriff (midruff?) T-shirt to keep him from clawing open the stitches. We’re glad to be done with his post-op meds but he’s not as happy since we camouflaged each pill with a mound of ground beef. 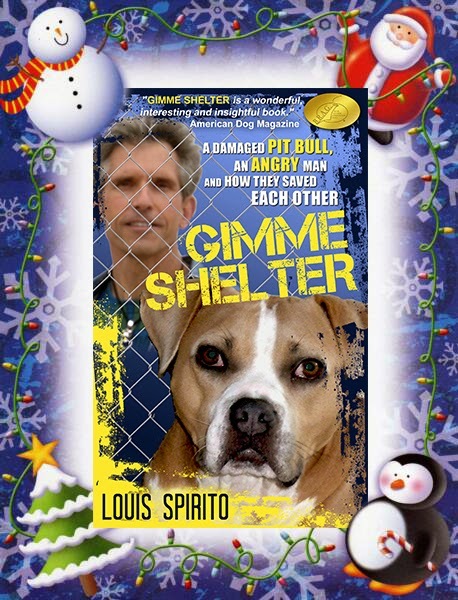 If you’re looking for a nice, inexpensive gift for that special animal lover in your life, take advantage of the GIMME SHELTER 20% holiday discount, now through January 1, 2015. Tanner thinks it’s great idea and he’s not alone; over three dozen Amazon readers have given us an average 5-star rating. If that doesn’t move you, maybe this video from last years Diesel Bookstore event will serve to whet your appetite. If books aren’t the answer, you might consider sculpture, specifically Eugenie’s awesome stone carvings. 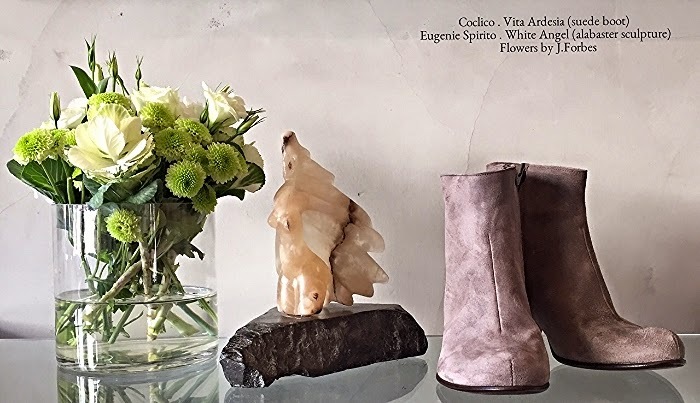 She currently has work on display at the CANVAS women’s store in Malibu, and at Studio Five08 in Santa Monica. You can view the latest sculptures and new at eugeniespirito.com.